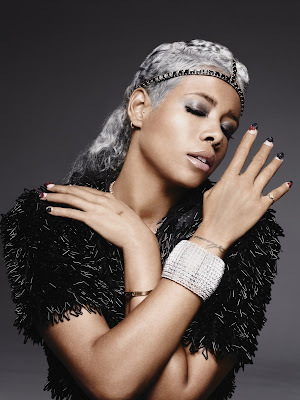 Signed to Motown/Universal Records, Jada has clocked studio time with many talents including J. R. Rotem, Dallas Austin, Swizz Beats, RedOne, Akon, Ryan Tedder, Toby Gad and Wyclef Jean among others. 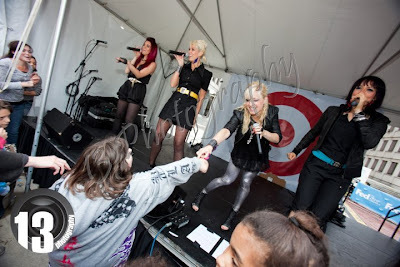 The girls also stepped out on tour last year with The Plain White T's, Lloyd and Brooke Hogan, not to mention being featured on the soundtrack to Bring It On: In It To Win It. Hopefully we get some new Jada material before the year is over. I think these girls are talented and beautiful and if they keep putting out slick tracks like "American Cowboy" (check out the video below) they really could make an impact. We just need to keep the momentum going and not wait so long between singles. 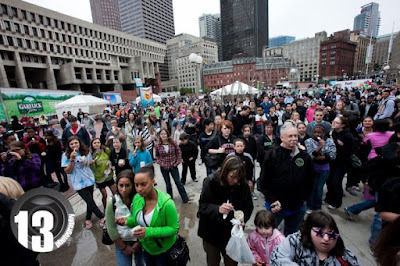 Check out promotional photos below (by Drea Catalano) of Jada's appearance at this summer's Scooper Bowl, the "nation's largest all-you-can-eat ice cream festival. Proceeds for the event support The Jimmy Fund's fight against cancer at Dana Farber. Flesh Tone, the new album by the beautiful and talented Kelis, has already been released in the UK and other countries but we here in the U.S. must wait until July 6th. 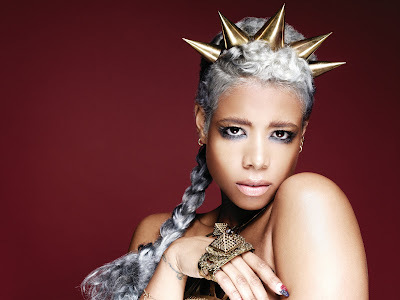 I have to admit, I'm a little nervous for Kelis. The album peaked at #46 in the UK and now is nowhere to be seen in the Top 100! The album saw it's highest chart position in Greece, where it peaked at #12. Why am I nervous? These numbers aren't that impressive. 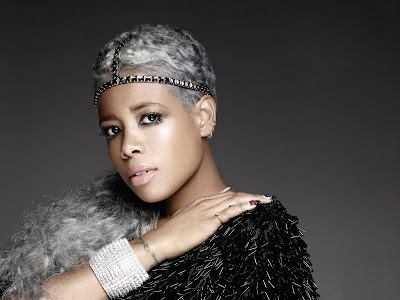 If I was sure if Kelis was going to do well ANYWHERE with her new electro sound, it would have been in Europe, where dance music is infinitely more popular than it is here in the States. I guess my only consolation is that the singles are performing better with "Acapella" peaking at #1 on Billboard's Hot Dance/Club Play Chart and "4th Of July (Fireworks)" already hitting #39 in the UK dance singles chart. We'll just have to wait and see I guess. This doesn't bode well for Kelly Rowland's dance success here in the States. At least she has an urban remix with Nelly to fall back on. Meanwhile, why don't you sit back and enjoy some new promotional photos of Kelis (many of which appear to be taken from the set of her "4th of July (Fireworks)" video). Thanks to Arjan over on ArjanWrites.com for the heads up on this one. Robyn stopped by BBC's Radio 1 Live Lounge this past week and did acoustic version of her new single "Dancing On My Own," as well as a cover of Alicia Keys' "Try Sleeping With A Broken Heart." Both performances are heart-wrenchingly raw and beautiful. Hearing Robyn is really nothing if you haven't heard her perform live. 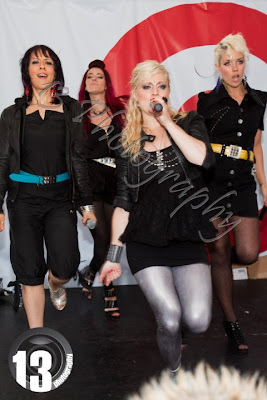 For many pop/dance singers in today's market, flawless live vocals are unheard of. For Robyn, it's just a reality. 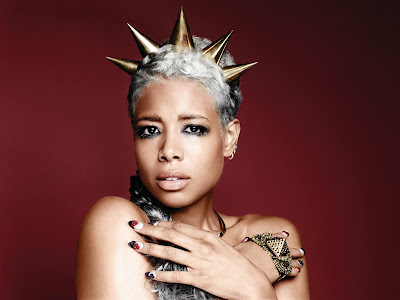 Getting so pumped for next month's show at the House of Blues with Kelis. SO excited.